There are plenty of avenues to engage in political protest, but no matter what your affiliation there's no denying that Donald Trump's food choices and Wrestlemania-inspired demeanor have sparked some pretty creative ones. This week, Windsor Sandwich Shop of Windsor, Ontario, provided us with a new one: this sandwich. 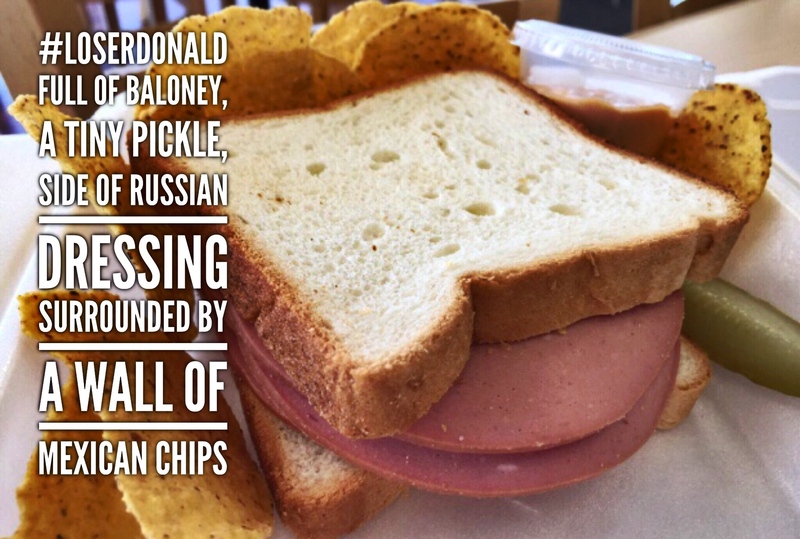 Packed full of bologna, topped and bottomed by run-of-the-mill white bread, walled off with Mexican chips, and served with a side of Russian dressing and a (little) pickle, it doesn't take a genius to read into the dig here. "I'm certainly not a fan of his. He's dangerous. He has a thin skin. 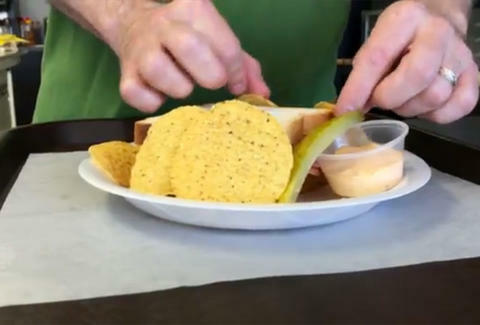 He's all fluff, no substance," Lawrence Lavender, owner of the sandwich shop and the man who put it all together, told CBC News. And why shouldn't they? Satire, food, and politics have a long, rich, buttery history together. Anyone else remember Jonathan Swift? Swift suggested chowing down on impoverished babies. At least bologna won't get you thrown in jail. Eric Vilas-Boas doesn't eat bologna or babies, so he's safe for now. Follow him on Twitter.